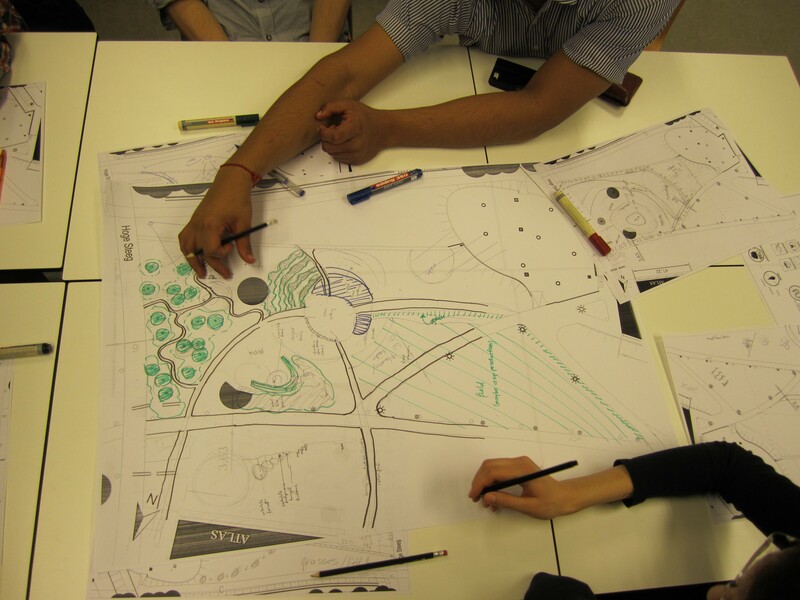 Since half a year, an enthusiastic group of students has set as their goal to establish a productive landscape garden in which education of various disciplines and agroecological design will fuse in a space where students and staff can learn and relax at the new University Campus. The process so far has shaped itself organically as a learning opportunity for many, very much in line with the principles behind the garden. Around 20 students take care of the daily organisation with around 80 active followers and up to 300 students interested. After an initial pre-proposal supported by many chairgroups that was received well by the Board of the university, the phase of making a full proposal has now arrived, including a design, the budget, and issues such as care taking and maintenance. This entry was posted in Agriculture, Education, Food and tagged Agroecology, EAT, University Campus by Petra Derkzen. Bookmark the permalink.